Posted on May 8, 2015	by Derek "Gamer Crash"
Instead of doing a traditional and more general E3 prediction post as I’ve done in years past, I figured it’d be more fun to take a deep dive in various topics this time. 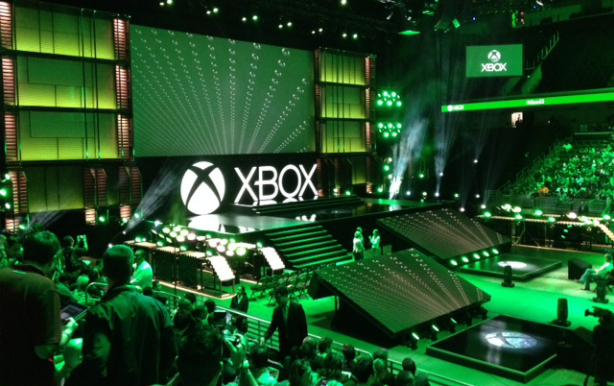 Next up is Microsoft and what to expect from the Xbox team. Did you miss part 1? While the Xbox One has been selling like hotcakes for Microsoft, (when compared to the last generation of systems) the console still finds itself in second place behind Sony. With the gap between the systems not shrinking all that much, it’s time for Microsoft to really dig deep, dump a pile of cash on the table and pull out some outstanding exclusives for the coming year. In my opinion, games are what drive console sales, not these entertainment features which the company likes to over promote. They’re certainly nice to have, but placing a big focus on entertainment options rather than gaming software is a mistake, and one that Microsoft paid for initially when it revealed the Xbox One. With Phil Spencer leading the Xbox team, things have been moving much smoother as demonstrated by a game focused E3 last year. I can imagine with another full year under his belt, Phil is getting ready to drop more surprises on the audience. The new Gears of War title – This one has been confirmed for a while now ever since Epic sold the IP and assets off to Microsoft. The new Vancouver studio, Black Tusk Studios, under direction from long time Gears producer Rod Fergusson should be ready to reveal what they’ve been working on all this time. I’d be more surprised if this title was passed over. Halo 5: Guardians gameplay – Probably the biggest title in 2015 for Microsoft, you’d have to imagine that a big chunk of time will be devoted to this game. Fable Legends – Another exclusive first party game due sometime this year, I can’t see Microsoft passing on the opportunity to show it off. It’s not as flashy as Halo and many people are a little wary about the “Free to play” nature of the game, but with the eyes of gamers from around the world tuning in, why not try to put minds at ease with a nice gameplay demonstration. Quantum Break Trailer – Granted it was recently delayed into 2016, I get the impression that Quantum Break is still very important to Microsoft. At the very least, we should get a new trailer as Remedy typically defers to Gamescom to talk about this title. New IP – Already confirmed to be at E3 by Phil Spencer. Let the speculation begin! Indie Showcase – This one is a gimmie. With how much focus is put on the ID@Xbox team, I’d be shocked if there wasn’t at least some sort of montage trailer showing off a number of new indie titles on the way this year. This seems like something Microsoft does every year. Third Party Content – Microsoft relies heavily on third party content during these events so it’s a very safe bet to see a slew of games. Rise of the Tomb Raider will also be featured heavily considering the exclusivity of the title. Hololens – While this hardware was shown off last week, it appears that Microsoft is also going to be bringing this to E3 to show off what it can do with games. Makes sense considering the positive reaction the device has been getting since it’s official reveal. Forza Motorsport 6 – Don’t be surprised if you see a new entry in the Forza franchise. With dual developers, the series is starting to become an annual thing even though the development time remains the same. In fact, I think Microsoft has all but confirmed the title for E3. Battletoads – I am of the mind that we’ll be seeing Pimple, Rash, and Zitz again. With Phil Spencer wearing a shirt bearing their logo, to the recent tease at the Windows 10 event this past January, and the trio’s return as bosses in the Xbox version of Shovel Knight, there’s just too many signs pointing to a new entry. Why bother making a fuss this big if something wasn’t coming down the road? What’s Rare working on these days?!?! Conker – See Battletoads above. I don’t know what is in store for Conker beyond Project Spark (and Conker’s inclusion here is not limiting other plans for this irreverent squirrel), but I’m hoping that Conker’s Big Reunion is going to set the bar for how to build a great Conker game. The key here for me is that they specifically mention that having Conker in Project Spark isn’t limiting other plans for the character. “Other Plans.” So that means there is a plan then, right? Is Microsoft having Rare cook up a proper game for him? The answer may be coming sooner than you think…or it may not, we’ll have to wait and see. Gears of War Remastered – A rumor which has recently surfaced, it would make total sense especially when paired with the Black Tusk Gears game reveal. Even if Black Tusk doesn’t show off the new Gears for some reason, I think fans would be pretty happy at an announcement like this. I’m undecided if this will be a package that includes the base games or just a complete remake of the very first game. Killer Instinct Season 3 – The Xbox One exclusive fighter is about to wrap up it’s second season of content and long time fans have noted that a handful of classic characters are still missing from the roster. Will Microsoft greenlight another season of content so fans can get their hands on Kim Wu, Eyedol, Gargos, and Tusk? E3 sounds like a great place for news like this. Crackdown gameplay reveal – Hey, remember this title which was revealed in a prerendered trailer last year? I completely forgot about this one, but with another year under it’s belt, the time may be right to show off what Dave Jones and the team have put together. Xbox Slim – As with every generation, a slimmer model typically reveals itself a few years after the initial launch. I don’t know if we’re quite there yet, but you have to imagine a newer model of the Xbox One is coming at some point. So why not now? Maybe drive the console sales up just a bit? This entry was posted in Feature, Opinion and tagged E3 2015, Feature, games, Opinion. Bookmark the permalink. Gears of War!!!! Yeah, I’m super excited to see what’s announced, and for the Halo 5 gameplay whenever we get more info on that. Good predictions! I am so ready for more Gears of War!